The first stage of the new CableFish test programme was completed last week and the results proved that this concept will revolutionise submarine cable installation for high flow environments. 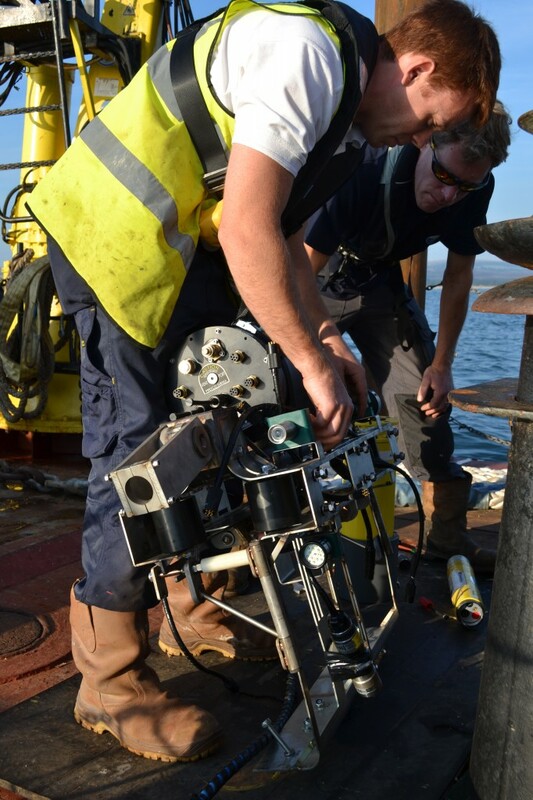 The trials were conducted on a simulated cable off the Dorset coast in flows of up to 2.5knots. The objective was to prove the concept, including the Launch and Recovery System (LARS) all of the on-board instruments and the topside system, in a relatively benign environment before moving up to EMEC in the Orkneys. Ben Baker, the CableFish Project Manager, said “I am delighted with the performance of CableFish. Now that the concept is proven we can focus on refining it, before setting her loose on a real cable in 6 knots flows in the infamous Falls of Warness”.